Knockpy is a python tool designed to enumerate subdomains on a target domain through a wordlist. It is designed to scan for DNS zone transfer and to try to bypass the wildcard DNS record automatically if it is enabled. 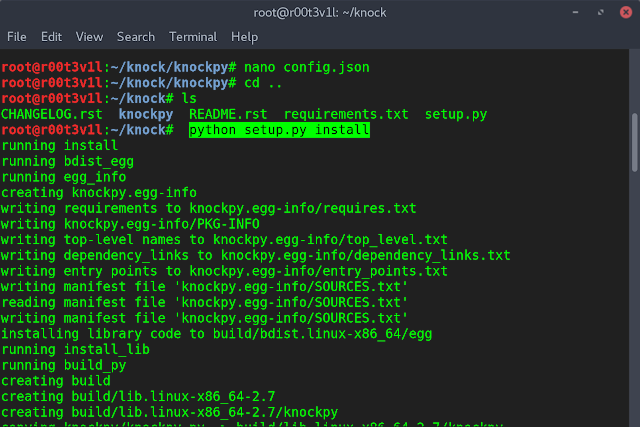 Now knockpy supports queries to VirusTotal subdomains, you can setting the API_KEY within the config.json file. So its main features are it can search for sub domains using virustotal API, scan for zone transfer vulnerabilities and look for to bypass wildcard DNS records. Well inorder to search for subdomains I use dnsdumpster. 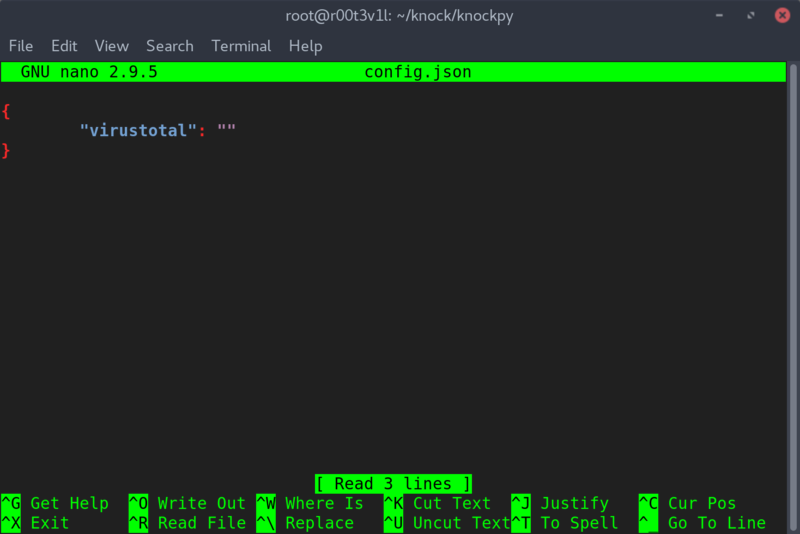 But today i gave Knockpy a shot and I must say it is really nice tool written in python and work in a very efficient way, It scans subdomains via virustotal API. So in order to use it you need to get a virustotal API by signing up of the virustotal website. You need a linux environment installed on your system(Ubuntu/Kali). Once cloned, edit the config.json file and add your VIRUSTOTAL API. 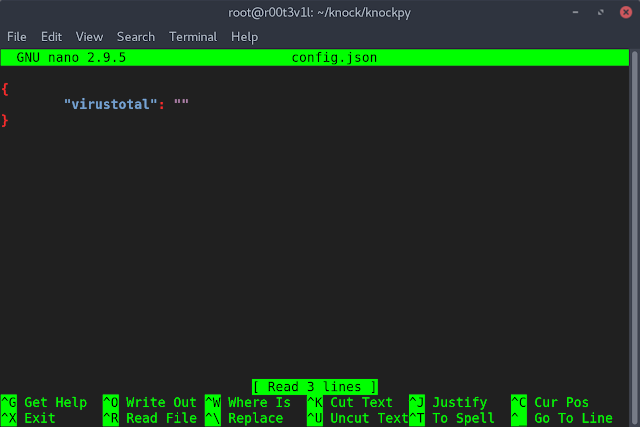 There are other options also available simple hit the following on the terminal. And this will scan all the subdomains of the url you have provided and will give the list of IP address,type, and server etc.